Combining the sophistication and style of the Sterling Line with the fun and exciting game of Foosball, the Sterling Collection Foosball table adds fun and variety to any home game room. With three goalies to protect your team, you’ll spend countless hours in competition with friends and family. 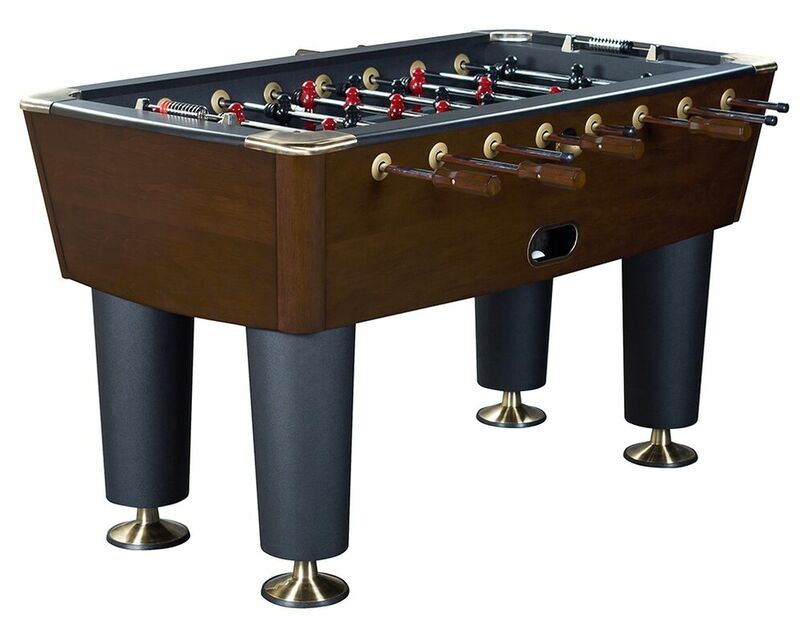 This Foosball table can match in finish with any of our Legacy pool or shuffleboard tables. Don’t miss out on your chance to have a beautiful, matching game room set right in your home.